As anyone who has ever grown their own food knows, once you taste fresh garden produce, the stuff at the supermarket doesn’t come close. 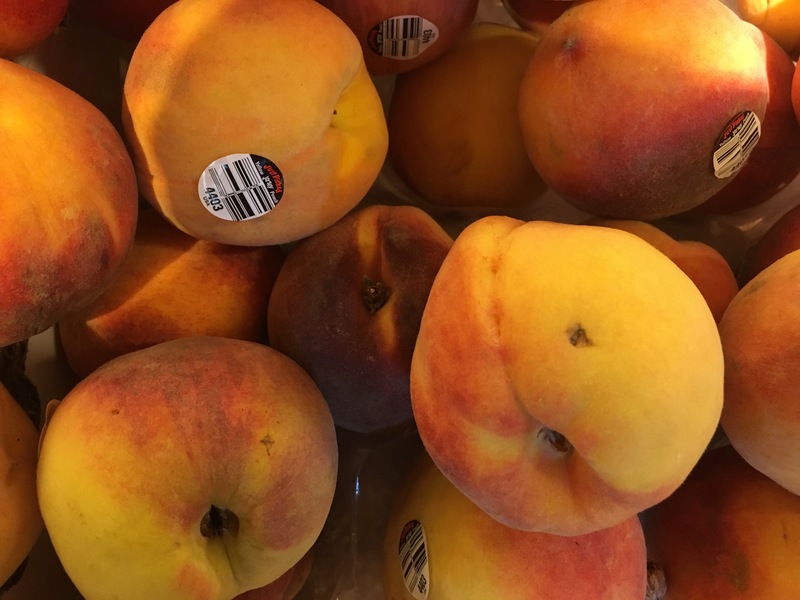 I do not grow peaches, and they are rather difficult to cultivate here in Rhode Island, so I am therefore relegated to peaches from the supermarket. But I have tasted really good peaches in my lifetime, so I know the difference. Every time I buy peaches at our local stores, I might as well be rolling the dice at a casino. I bring them home to ripen, and they smell and look good, but then when I bite or cut into them, they’re mealy. This has happened so often this summer that it’s come to the point where I feel like a chump for believing that the peaches I buy will actually tastes good. Meanwhile, my sister in Canada has been GORGING on Canadian peaches, which are available by the basketful. A bit smaller than the crap we are getting here, they are juicy and flavorful and satisfying. I don’t even want to think about all the money I’ve wasted on inedible, mealy disappointing fruit. I will not buy another peach this season. meh. i never buy fruit at the supermarket, no matter how nice it looks. it’s always disappointing. i have resorted to buying fruit that is in season from a large local orchard operation in gales ferry, ct., where i am pretty confident that they know how to grow, and more importantly, how to store their own produce. i’ve had amazing peaches, though this year not many because of the late frost. and i love their apples, which i buy every year almost into the following spring. i think we just should get used to buying stuff in season whenever possible. and locally produced, since it doesn’t have to be picked unripe to survive the rigors of long-distance shipping. Agreed. 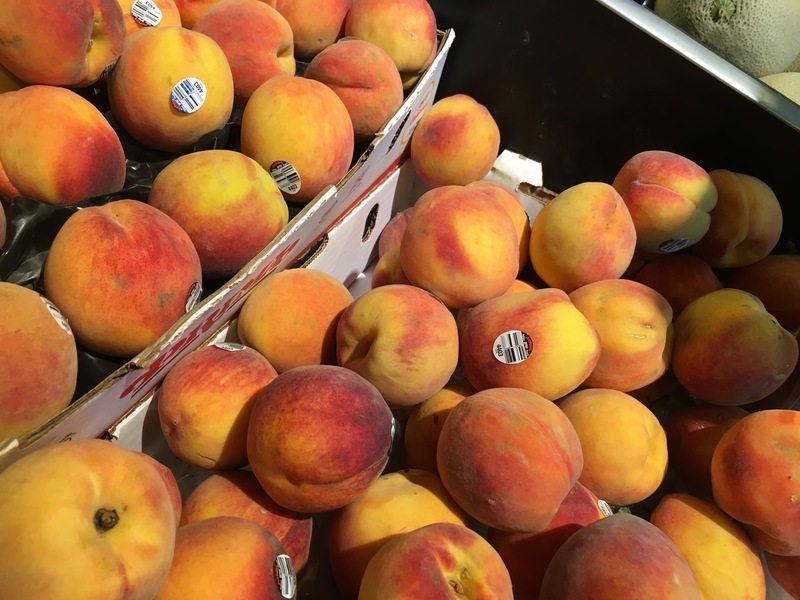 But don’t you think New Jersey-grown peaches, in August, should be decent? It’s disgusting to pay for fruit and find out later that it is inedible. A huge ripoff. And why can my sister buy awesome peaches at her supermarket? Is crappy fruit an American thing???? I rarely buy fruit and when I do, it’s pretty much the way you and auntie beak describe. A huge waste of money and almost always disappointing. What the heck happened to our fruit?! I guess we know the answer to your question. It was determined that more money could be made growing fruit that looked nice and travelled well, and didn’t necessarily taste good. I have travelled in Third World countries where I bought fruit at stands by the side of the road, and theirs put ours to shame. Especially when you know delicious fruit does exist… and that your sister is enjoying it!